After more than four months behind bars, Bohemia Interactive (ArmA 3, DayZ) staffers Ivan Buchta and Martin Pezlar were granted bail. The video game developers were arrested at the end of last summer while vacationing on the island of Lemnos in Greece. The Greek government accused the Czech nationals of espionage and imprisoned them. 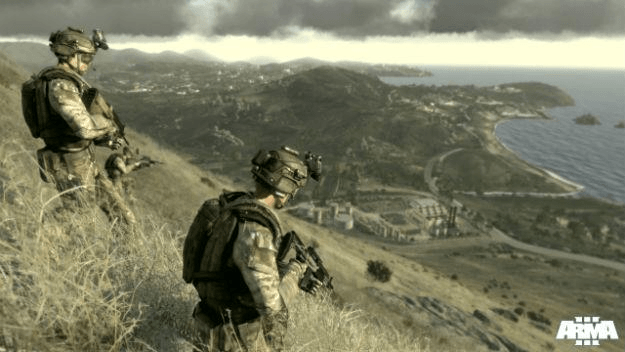 Why the Greek government would accuse game makers of espionage is rooted in Bohemia’s upcoming military simulator ArmA 3. The sequel actually features the island of Lemnos as a setting. The Greek government objected to its inclusion during the game’s production. Bail was reportedly set at 5,000 euro, or around $6,648. Buchta and Pezlar were denied bail in November and told that they were to remain in prison until their trial. The conditions they stayed in were reportedly abysmal. “They’re in a cell with over 25 people, they sleep on the ground,” said Miloslav Buchta, Ivan’s father. The two developers will still have to face trial, though it’s unclear when since Greece’s judges are on strike. According to Bohemia Interactive’s Ota Vrtatko, the two did nothing out of the ordinary for tourists.